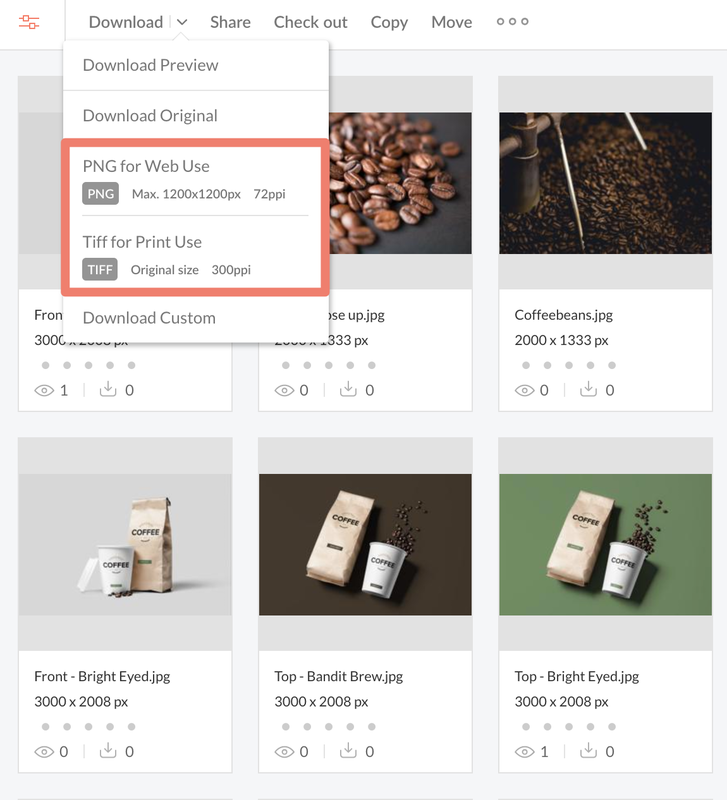 Help your users save time by saving often-used custom download settings as presets. Each assigned Download Preset appears in the Download menu for that user. 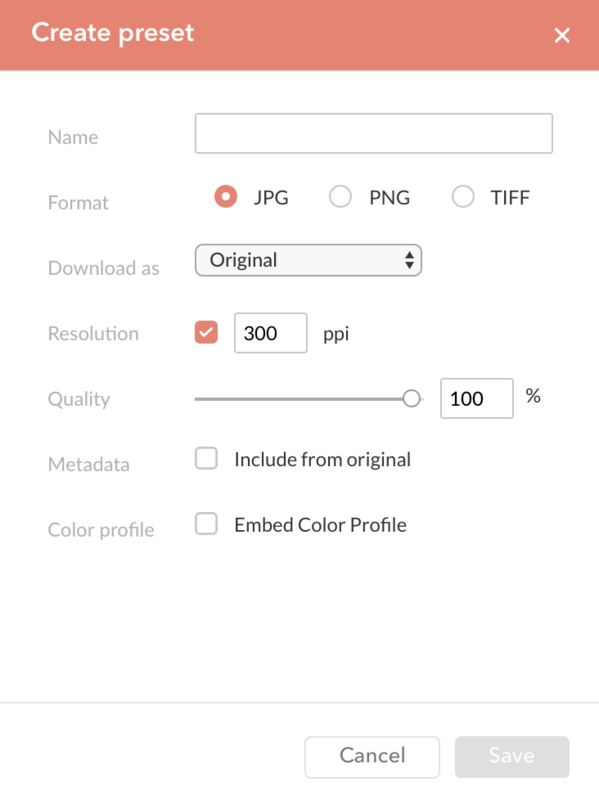 Figure: Download Presets make it easy for users to quickly download files in a specific format, size and resolution. Step 1. Click the Download presets tab on the right on the Groups page followed by the + at the bottom. Step 2. Define the settings as required and click Save. Step 3. (Optional) Add additional Presets as needed. The created Download Presets will be assigned to users when setting up user groups.